Yes, that's the front page of the iPad App Store. 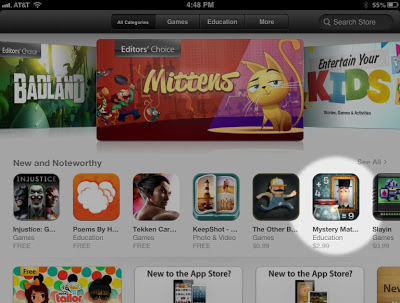 And yes, that's Mystery Math Town, a Featured New and Noteworthy selection. It is truly satisfying to be recognized by Apple for our new game, and while we believed all along that Mystery Math Town is special and worthy of distinction, it's another thing entirely to get noticed in a sea of over 300,000 iPad apps. We've had lots of support from some good people along the way, from a great group of testers who helped us to make the best game possible, to our network of friends, educators and fans, who helped make this the most successful app launch ever for our little company, Artgig Apps. 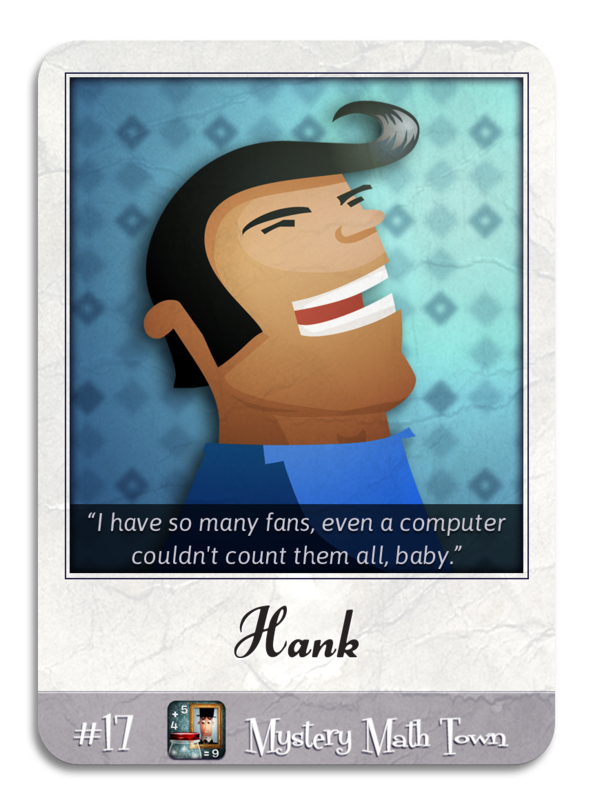 As our very own Elvis-impersonating crooner, Hank, is fond of saying, it feels like we "have so many fans, even a computer couldn't count them all, baby."